You hear this more now than ever before, “We are all connected”. While generations ago this was a concept that was brewing on a slow burner, we couldn’t quite grasp its truth or value. As time has passed it seems the world continues to get smaller as those connections that were sparked back then are getting stronger. How these paths are bound together are made of many things for different people. Personally, music is that binding force that has created these connections. I’ve always loved any kind of music that has made me feel anything. Music became the glue stick for my memories, my loves, my losses, my hopes, fears, and dreams. Finding a record like the self-titled, debut record from INTO THE GREAT DIVIDE is undoubtedly as rare of a find as buying a piece of artwork at a garage sale and finding out there’s a Matisse behind it. What makes this record, without stating the obvious genuity in the sheer orchestration and the stellar performance of Zach Zalon and Mike Mangini (DREAM THEATER) began with the ideology for this all instrumental record. Now, I know this is a dual-diagnosed niche; progressive metal and all instrumental music. And for the die-hard rock fans of these two genres that hold their music close to their heart, both haven’t bounced to the surface as mainstream champions; yet. 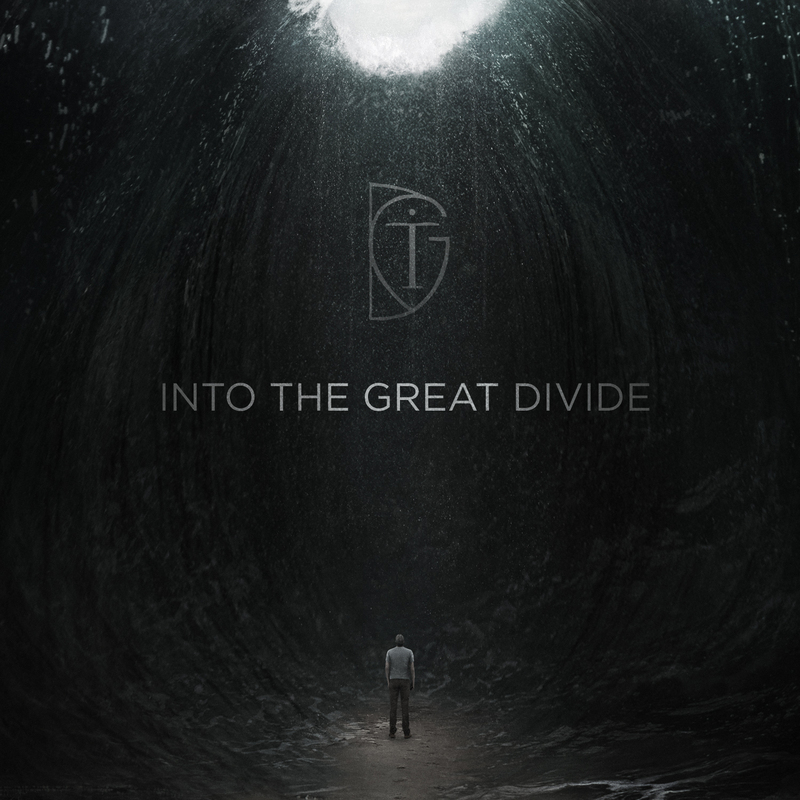 INTO THE GREAT DIVIDE has the material and then some to launch them up and out into the atmosphere to become the Apollo, so to speak, of progressive and instrumental rock. The “and then some” consists of taking the listener on a self-guided, personal journey with a guided narrator and some of the most mystical, heavy, perfectly scored rock instrumental music this Birdie has ever heard! Each song is a chapter and is prefaced by a narrator that sets the stage for the song. Get ready y’all – this is groundbreaking! CHAPTER ONE – The Crossing – an air of happiness infused with urgency in the melody. Love the different tones in the guitars that are layered throughout and set the foundation for the journey. CHAPTER TWO – A Call to Adventure – I was just discussing with a friend about stopping some of the past cycles that kept me stagnant and how I needed to continue what I started discovering in 2016. The music equals the energy of that beginning; nervous or anticipation that spills out from a person when starting something new. There is a beauty in letting go and giving into the call of the adventure that can be heard in the guitars and the cadence of the track. CHAPTER THREE – Under A Bright Starry Sky – rebirth, newness, and excitement is prevalent at the beginning of a journey or the night before taking a trip somewhere you’ve always wanted to go. This song lends to the direction of that positive energy in the tempo and the percussion mimics a heartbeat throughout the song that shows strength and the desire to begin again. Mike Mangini champions these inherent feelings in all of us as it’s communicated through him on this track and throughout the whole record! CHAPTER FOUR – Tests And Enemies – no kidding!! This is what I missed learning as a kid; that these trials aren’t a means to an end, but the beginning of an experience that will teach me something in the future. As an adult, the Tests And Enemies had their masks taken off and revealed. I could identify with the ebbs and flows of this song. The groove and the bass’ thumping tone emphasize the need for these things to happen – truly beautiful. CHAPTER FIVE – Challenge Accepted – Is Zach reading my mind right now? The journey that is crafted in this record began when I chose to listen to it. What I interpreted from the descriptions and summaries in the narration just catapulted my feelings and myself into again accepting the challenge of the journey. The bass dropped in is fabulous. Triumphant chords and the little swoops of synth is brilliant! CHAPTER SIX – Dark Waters – pain is the touchstone of personal growth. But damn it does it hurt like hell, especially when that pain comes from the choices or lack of that we’ve made. In the middle of this pain or in the middle of the Dark Waters, you don’t know that you’re growing. The progression from acoustic to electric is just like that; unknowingly you wake up and the pain is smaller or has disappeared. It starts and ends; soft then strong. There is a reverb tone that echoes what you sound like as you’re crying out in the darkness. CHAPTER SEVEN – Mist In The Sun – the piano is always such a cleansing sound to me; pure and organic. I love the key change that represents that solemnness right before that damp layer is burned off by the heat of the sun. Just as quickly as it starts, it ends. CHAPTER EIGHT -A New Perspective – great tempo and blends of instrumentation. I love the hope that is enveloped in the measures. Orchestrated to instill this freshness or this different outlook on the same thing that was bringing you down, or clogging your stream. The beat of the tempo is just like your heart was restarted after stopping for a second; a reset. Nice trills intermingled within the core of the song. CHAPTER NINE – The World You Made – an awesome reminder that each of us is the keyholders to our own destiny. That the Law of Attraction truly binds us to the energy of the universe allowing us to create our failures and successes. There is a 70’s sounding keyboard laced up in this song that bends to the anthemic rise in the midpoint of the song. CHAPTER TEN – And So It Ends – the connection between music and the journey of this blip of life we will live can be felt in this track. It’s a finality that we all have to accept and for the moment when the chapter is over, and the page is turned to a new one, these connections are what fuels what happens on the following pages. Zach Zalon and Mike Mangini perform as masters of the music and should be revered as such with this record. It’s really a great depiction of how the chords, sharps, flats, progressions, crescendos, and decrescendos are reflected as this life we lead and the journey we take within it. I swear this record could be used as a mindfulness guided meditation or “metal-tation” if you will over and over as we go through life. The record can be purchased by visiting here. To learn more about INTO THE GREAT DIVIDE click here.